July Newsletter: Save on Summer Shipping with Flexible Packaging! As summer retail season picks up, save on shipping costs! You asked for it and we got it. Our CoEx mailers are tamper proof, secure, and can get to you within a few days. These bags are perfect for shipping clothing and other non-fragile items at a much lower cost than boxes. Save even further with 10% off using the code we send to our email subscribers every month (sign up below). We also shared some great ideas last month on 4th of July favors, evolution in greeting card packaging, and how one of our favorite mother-daughter duos does stationery. Make sure to check those out if you get a chance! 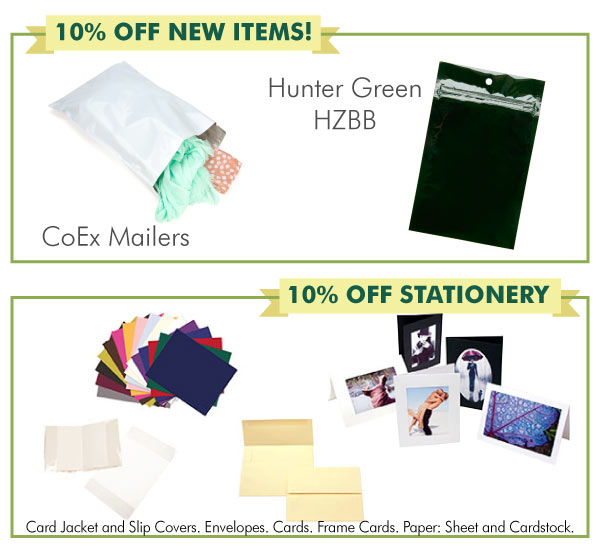 Save 10% on select stationery items*, NEW CoEx mailers and NEW hunter green metallized hanging zipper barrier bags. Hey! To activate the promotion, you will need the promo code. Our promotions are exclusively for our email subscribers. You can sign up below or on the clearbags.com newsletter page. If you sign up early enough in the month, we will send this month’s promo right over! *Discounts only apply to stock items; they do not apply to clearance or custom products. Promo codes cannot be combined. Promo includes new items CXM7H10H, CXM912, CXM1215H, CXM14H19, HZBB4HG, HZBB5HG and HZBB6HG. Promo includes stationery products with item codes starting with CJ and CFC. 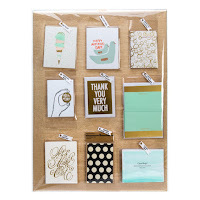 Also includes all envelopes, cards, cardstock and printer papers. Tell you what: You stop by our booth at any of the shows listed below and we will give you 10% off your next order AND as many free samples as you want. 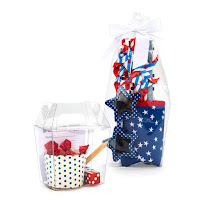 Did you miss our post on some great 4th of July party favor ideas? Don’t worry, it’s never too early to get patriotic creative juices flowing for next year! Check out these five red, white, and blue favor ideas that are sure to be a hit. Say hello to one of our favorite mother-daughter duos from MoDa Paper Designs. We asked this perfect pair a few questions about their business and how they make their cards stand out on the shelves. There is nothing stationary about greeting card packaging (excuse the pun). It’s no longer just a bag with re-sealable closures. Here is our take on how packaging greeting cards have evolved over the past 20 years. Breaking Down Barriers: What are barrier bags?